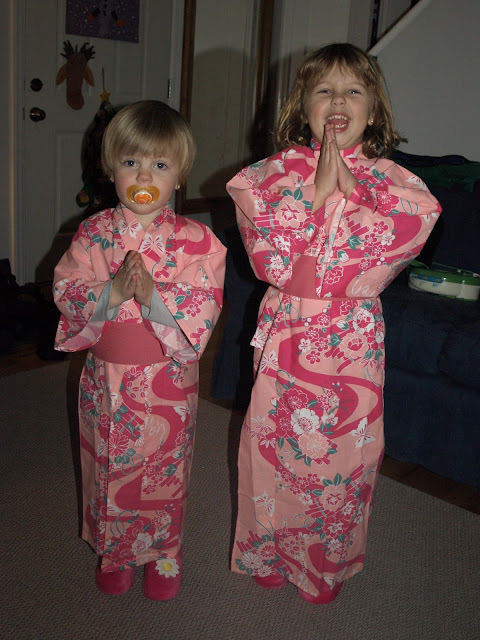 You might be aware of the fact that a couple of weeks ago, earlier in December, Nick went to Japan for work. 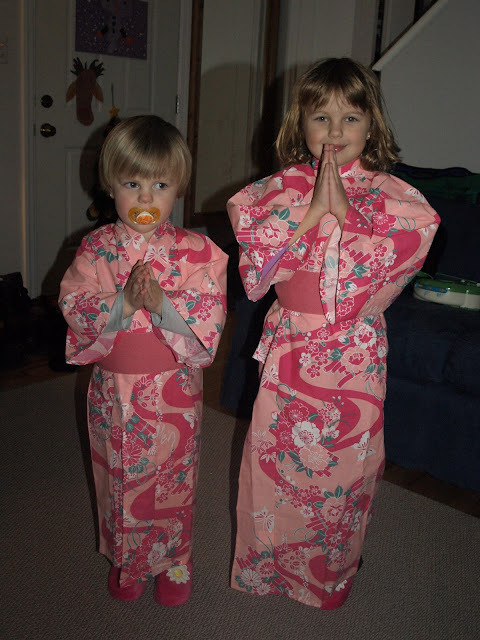 While he was there he picked up a couple of kimonos for the girls. 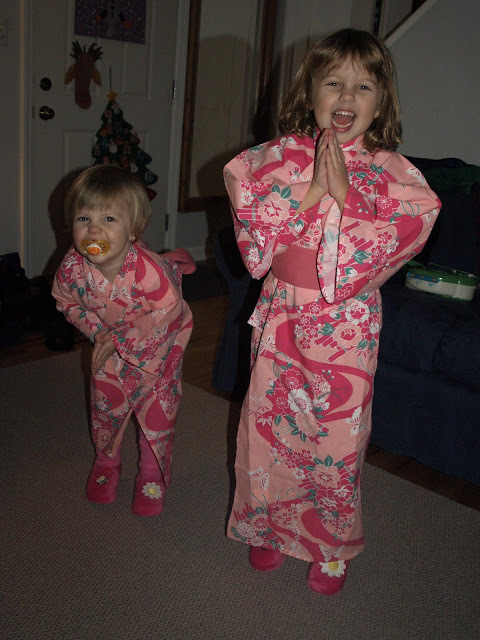 Nick gave them their kimonos for Christmas. At first they were like "oh, wow, pink clothes" and they were tossed under the tree. 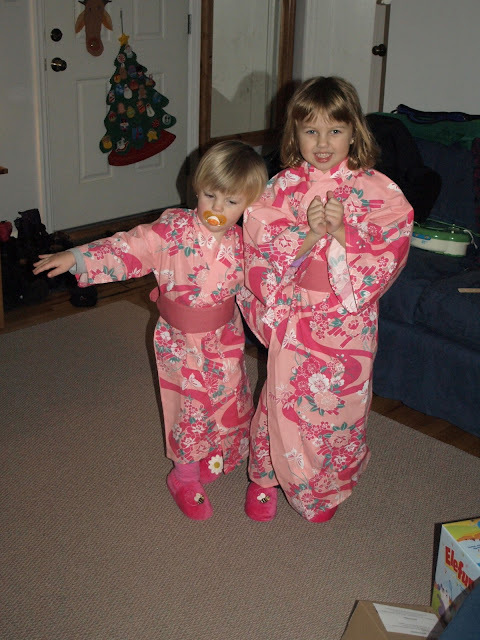 That is, they were under the tree and then one of the girls decided they HAD to wear them... and what one does the other must do. 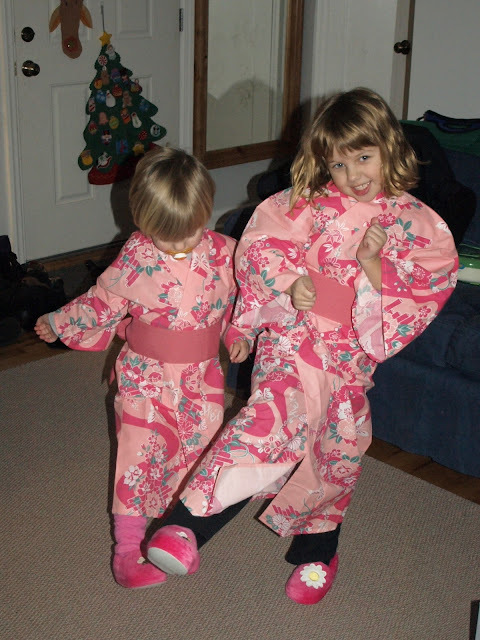 So, all of a sudden we suddenly had little Japanese girls in Yukatas running around our house. 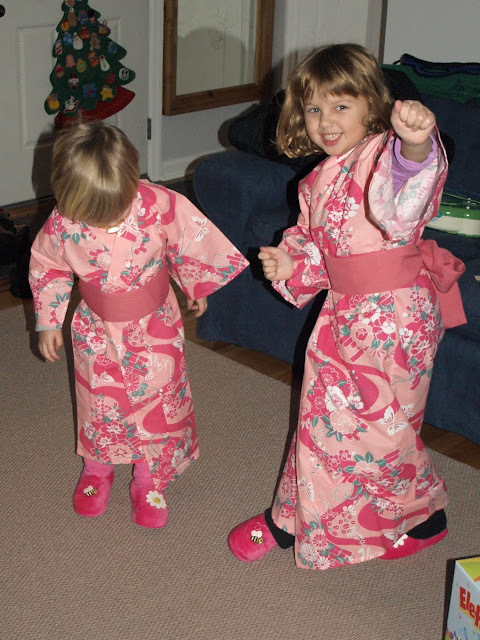 But... it seems the yukatas were possessed by little Japanese girls who had been taught karate. It was right at the moment that I snapped this picture that those little girls grabbed on to Zoe. Do you see it? And then suddenly Ana was taken over too. There was a lot of hi-ya! At this point Ana had had enough of the Japanese girl karate game. She desperately tried to escape before Zoe started trying to split boards... er, um... cardboard boxes... with her bare hands.